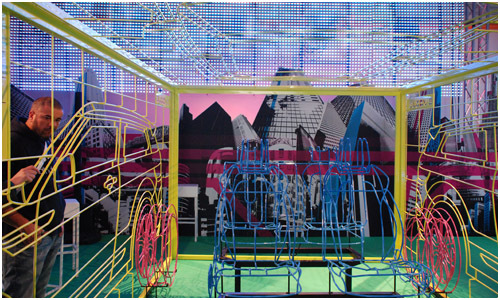 I spent some time around the booths at the Salone del Mobile, and here’s what I liked best. 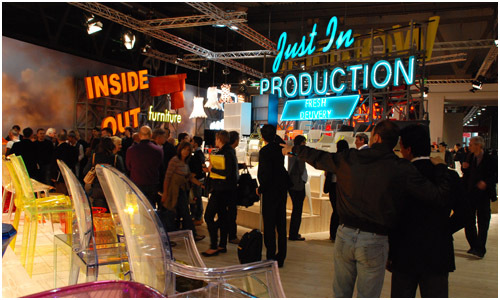 Take a look at Kartell’s booth, where each section is themed. 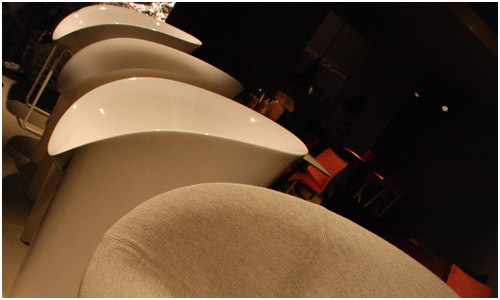 Then it was off to the Moroso booth. 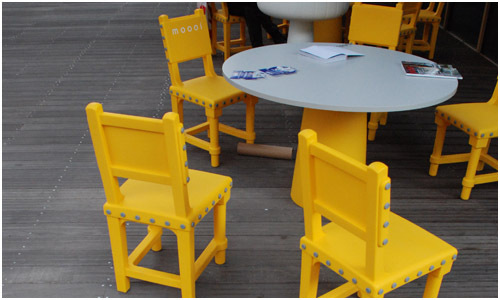 You can see part of the Moon Chair that is a zip cover. 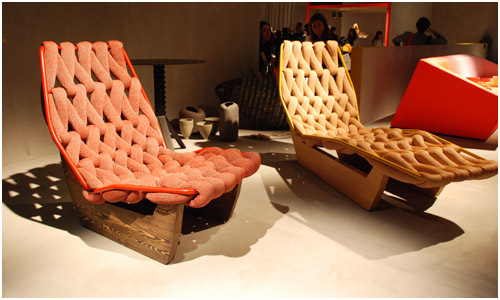 Here are the Biknit lounge chairs by Patricia Urquiola. 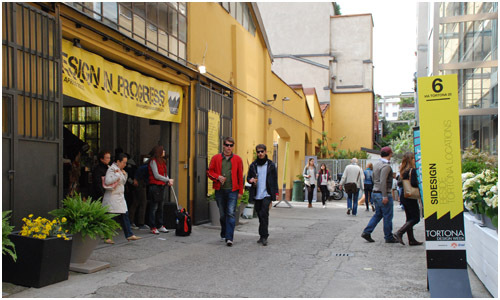 So then I move on to Tortona Design Week (aka Zona Tortona). 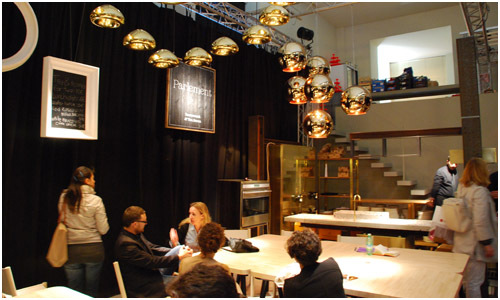 It was a place where you can see the up-and-coming designers that are just different from the more established brands that you would see at the actual Salone del Mobile show, with exception to Salone Satellite of course. However, in the last two years or so this place has turned into more of a mixture of startups and established companies. 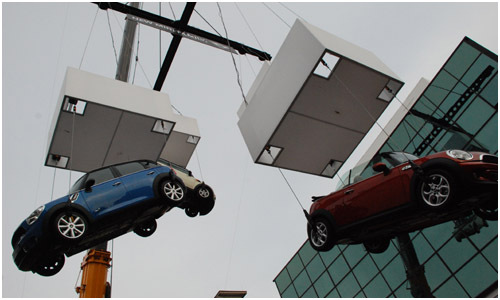 Here are some Mini cars suspended from a crane. Then you walk into some exhibits and it’s a different world. 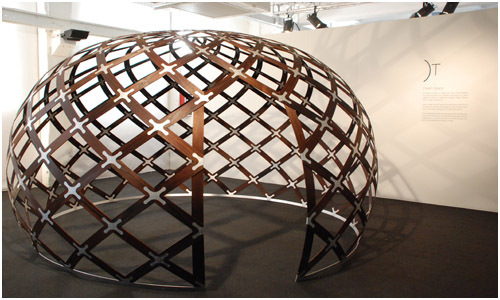 This was one of the things I wanted to see in person – the Gothic Chair by Studio Job for Moooi. This colorful exhibit is part of the HTC exhibits, just some visual eye candy. Lastly, this is the pop-up restaurant from Tom Dixon called Parlement that was mentioned in a previous post. 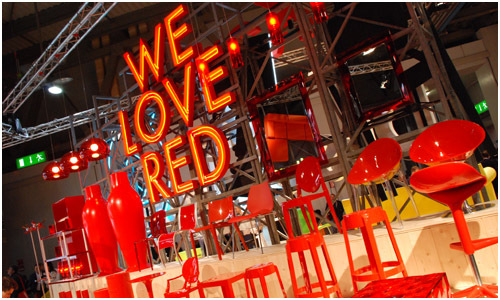 Coming up: Ventura Lambrate including a few more products that we love!